Kitchens are a common place for fires to start – you are already working with exposed flames or very high heat. For this reason, you should take extra precautions when cooking meals to prevent fires. Here are some things that you can do to add to your safety in the kitchen area. Any unintentional negligence in the kitchen area can put you and your family’s safety at risk and incur significant costs. Unattended cooking is one of the leading causes of kitchen fires and that is why you should never get distracted by situations when cooking anything on the stove or in the oven. 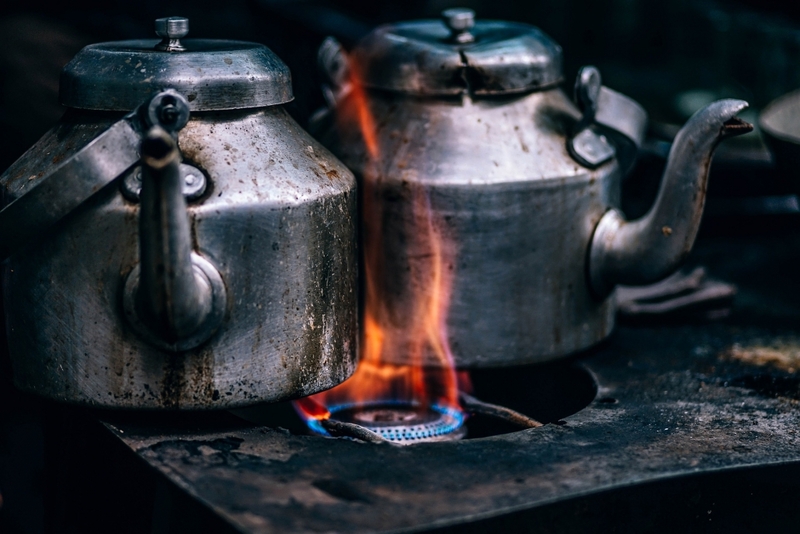 Many of the basic items you use in the kitchen such as potholders, paper towels, plastic containers, curtains, or oven mitts can easily catch on fire if placed near a heated stove. These items must be ordered and stored in a safe location away from the stove and oven. Grease is another flammable substance that can accumulate quickly in the kitchen. You should keep the cooking area and counters clean to avoid grease build-up. Installing smoke alarms in your kitchen area and ensuring they function ideally is another important preventive measure to make your home and family safe from kitchen fires. A smoke alarm will warn you of potential fires so you have ample time to put it out and avoid catastrophic consequences. A large number of kitchen fires involve grease, gasoline, and oil, and cannot be put out by water. A fire extinguisher can help you suppress the flames easily. Remember to keep it away from the stove, but also easily accessible from your range. Even with the greatest care, you may someday have to put out a kitchen fire. In case of a small and contained fire – like food blazing in a pan, just slip a lid over the pan and turn the stove off. The lid will smother flames and cool it down. Never use water to put out fires as it can react vigorously to grease and spread the fire even more. Only use a fire extinguisher to put out fires. Make sure you know how to handle the extinguisher and review it regularly to ensure that it is in proper working order. Once the fire has been put out, sanitize the entire kitchen area, especially the stove and oven to eliminate existing grease. However, if the fire spreads throughout the kitchen, you must call the emergency department right away and evacuate the home as quickly as you can. NEED A RESTORATION AFTER HAVING A FIRE?